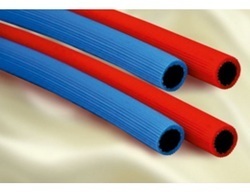 Pioneers in the industry, we offer welding hose and thermoplastic welding hose from India. Thermoplastic Welding Hose is made of special thermoplastic compound which gives the hose more flexibility heat resistance during welding, Brazing Cutting operation by hand and machine. 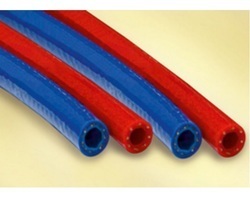 The compound gives the hose more flexibility resistance against the sparks during operations, it also gives the hose protection against the heat stability for higher working pressure. The Hose can be used in all types of industrial workshops, oil refineries, steel mills, shipbuilding and repair yards, service station, garages etc.